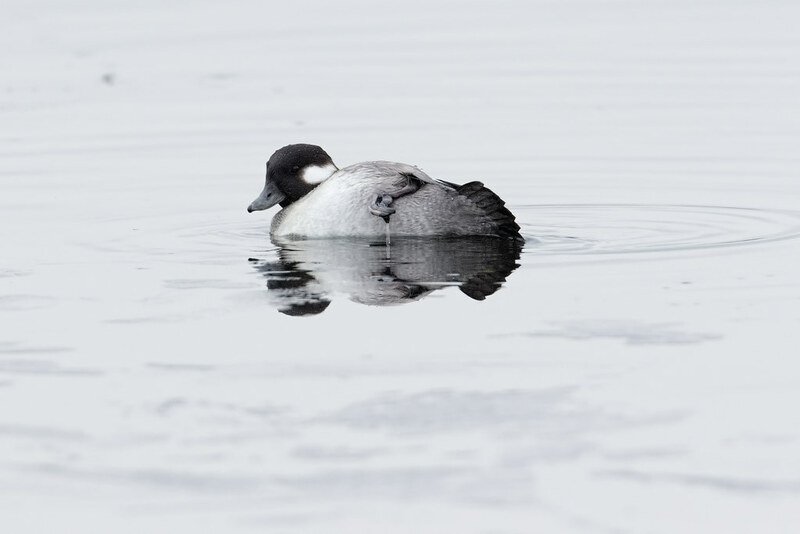 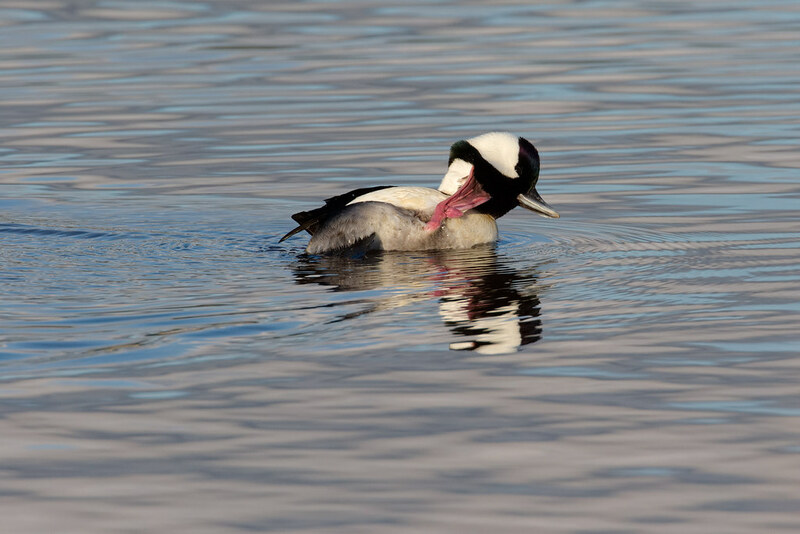 A bufflehead leans to one side as she preens as the ice melts on a thawing Horse Lake. 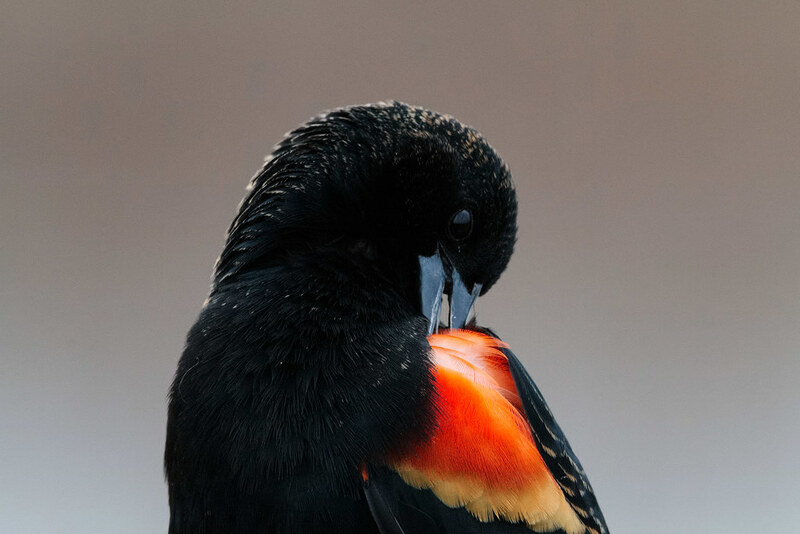 A red-winged blackbird preens his red feathers. 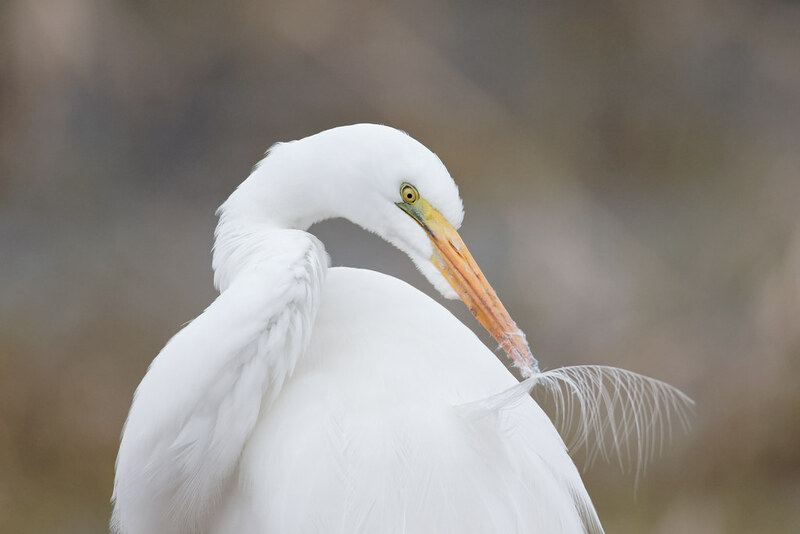 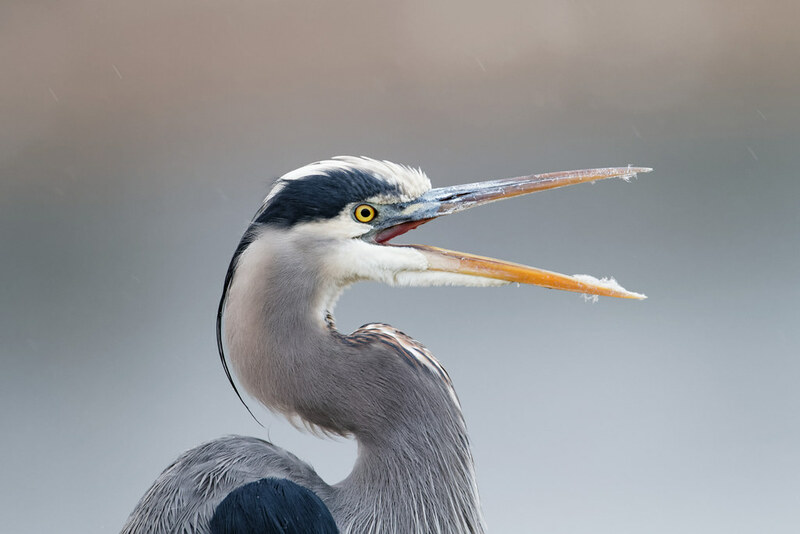 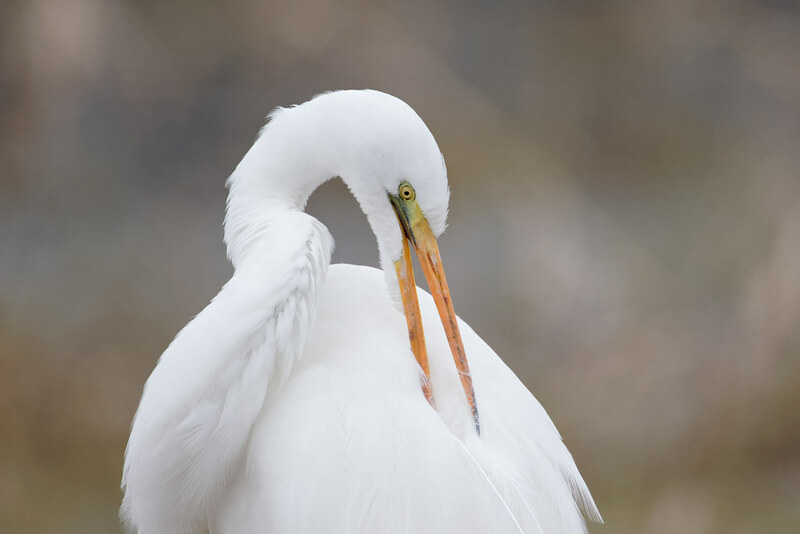 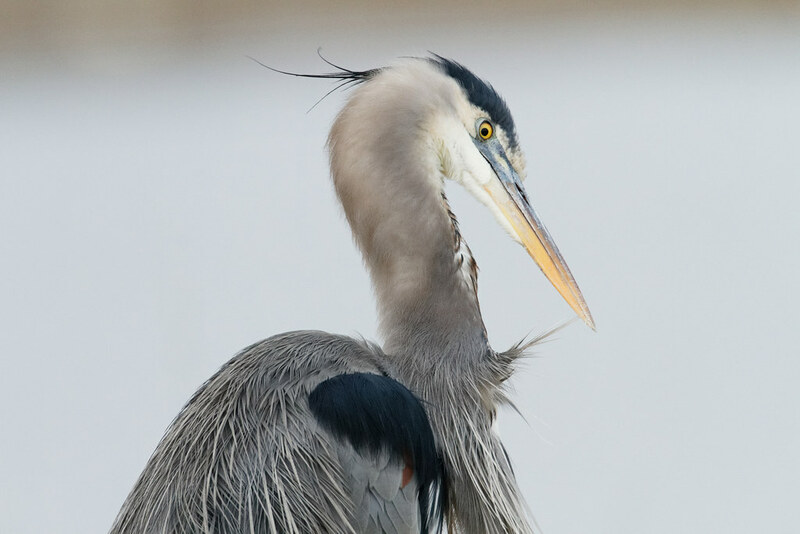 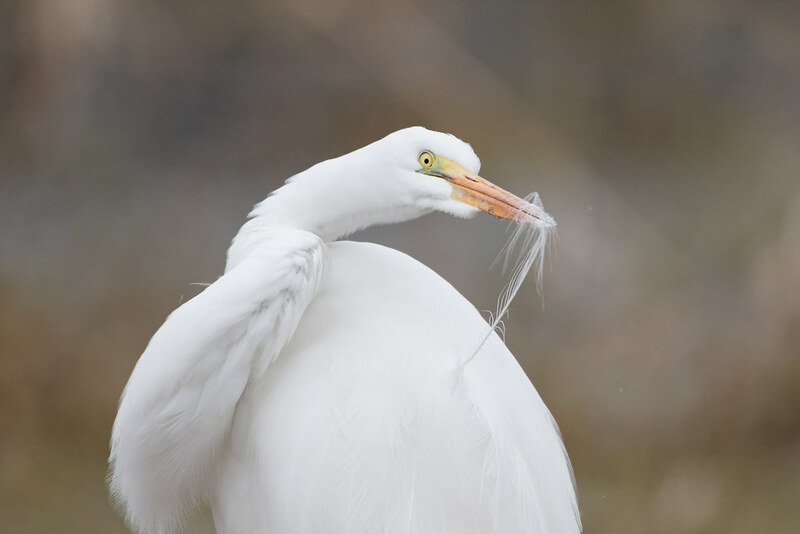 A great blue heron preens its neck feathers by running them through the tip of its bill.